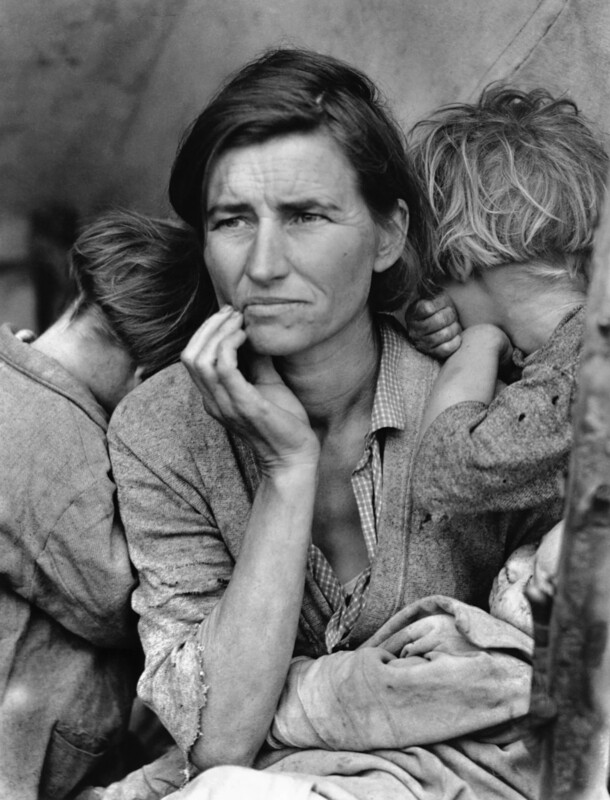 Migrant Mother (1936) by Dorothea Lange is one of the most famous silver gelatine photographs, and exemplifies the photojournalistic, realistic style that ended up defining the process. I sure do! Silver gelatin photography, or the “dry plate” process, was actually the main form of photography used from around the 1880s up until the introduction of instant colour photography in the 1960s. It was especially popular in photojournalism, linking a technical process to an aesthetic imbued with meanings of authenticity. Since your question is quite general, I’ll do a quick overview of this method, starting with its history and technical process and then looking at its cultural impact. There’s no clear date or person that can fully be credited with silver gelatin photography in its popularized form. This is because, like the rest of the history of photography, it was developed through a constant process of development, adjustment and improvement by a range of different inventors. Photography was studied very early on, as records from ancient Chinese, Arabian and Greek philosophers and scientists show, but rapid developments in the technology didn’t start happening until the 19th century. Silver was used in photography from the very start of the 19th century, as in the year 1800 the British photographer Thomas Wedgwood used paper or white leather treated with silver nitrate to capture an image. Silver-based processes were experimented with until Louis Daguerre in Paris used silver iodide to develop the famous Daguerrotype. The Daguerrotype was the first popular form of photography, bringing masses of people into studios to take portraits, especially after improvements were made to the technology and after Adolphe Disderi developed carte-de-visite photography in Paris. 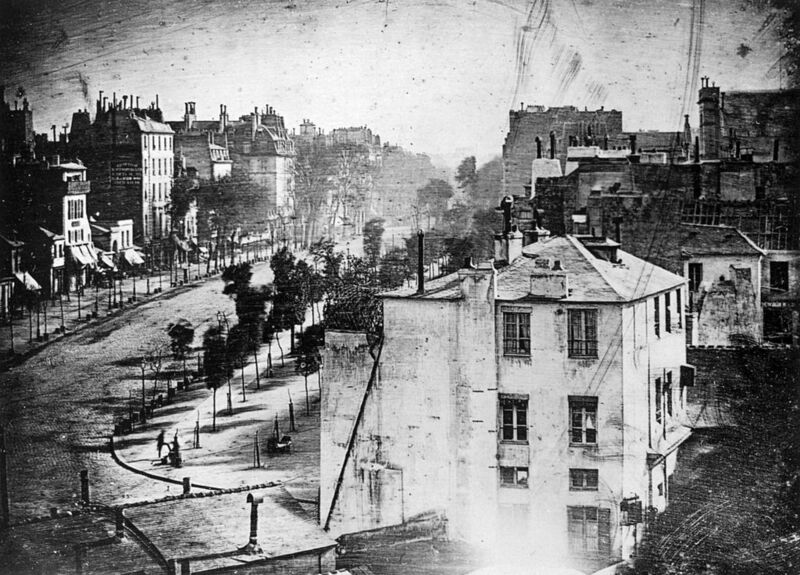 Boulevard de Temple (1838), a daguerrotype taken by Louis Daguerre generally considered to be the first photograph to include people. Although most of the busy street wasn’t included due to the 10-minute exposure time, two men in the bottom left corner who stood still for a shoe-shine are included. So, the history of photography is characterized by constant improvements and adjustments to previous discoveries. It was in this atmosphere that Richard Leach Maddox, and English doctor, made the discoveries and adjustments necessary to introduce silver gelatin photography. 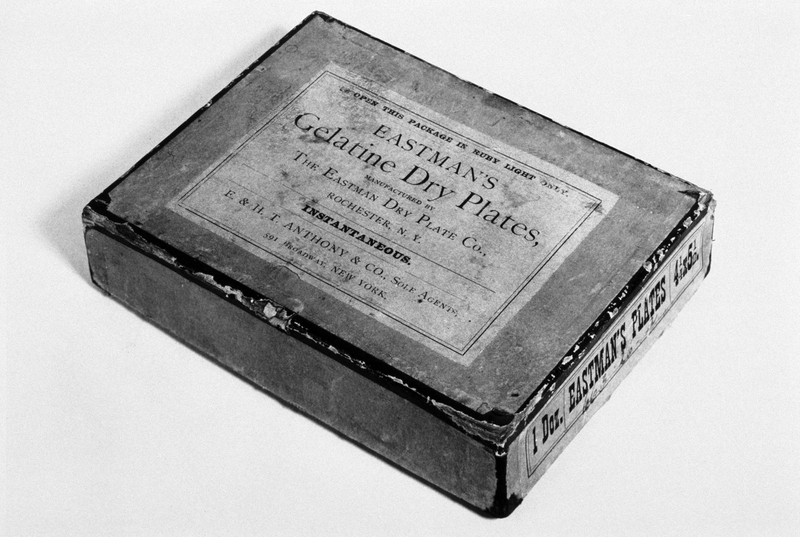 He introduced the use of an emulsion of gelatine and silver bromide on a glass plate, essentially taking what had been a two-step process – coating a plate first in silver and then in bromide – and turning it into a one-step process, where both silver and bromide existed on the plate simultaneously. This was effectively the invention of silver gelatine photography, although Charles Harper Bennett made significant improvements in sensitivity in 1878, which led to silver gelatine photography being manufactured commercially in the same year. Silver gelatine photography is done by taking gelatine (the same gelatine that you can buy in a store today) and putting it into a container of water and letting it swell. The swollen gelatine is then melted. Bromide and silver nitrate are poured and stirred into this melted gelatine, giving you a solution of silver bromide in hot gelatine – a.k.a. an emulsion (a solution of droplets of one liquid in another in which it’s not soluble). In the nineteenth century, you would then pour this emulsion onto a hot glass plate, which was then put into the plateholder in the camera. This process is also called the “dry plate” process because it no longer required you to develop the plate before it dried. This meant that portable dark rooms were no longer necessary, and you could now bring a pack of dry plates with you, expose them to the light, and then weeks later develop them in a dark room. The cultural impact of gelatine silver photography cannot be understated. The ease of the dry plate process meant that photography could be commercialized in ways that it couldn’t before. When the process was applied to paper, silver gelatin prints could be created, which eventually became a staple of photojournalism and fine art photography. The first Kodak camera, using a film roll instead of plates, was introduced in 1888 and the much-improved Kodak Brownie box roll-film camera was introduced in 1900, greatly expanding the user base of photography and launching it into the mainstream. Gelatine silver photographs have a particular aesthetic, creating a smooth surface as the gelatine sits on top of the paper, holding the image in place rather than sinking into the material. It also creates an appealing clarity and sharpness. 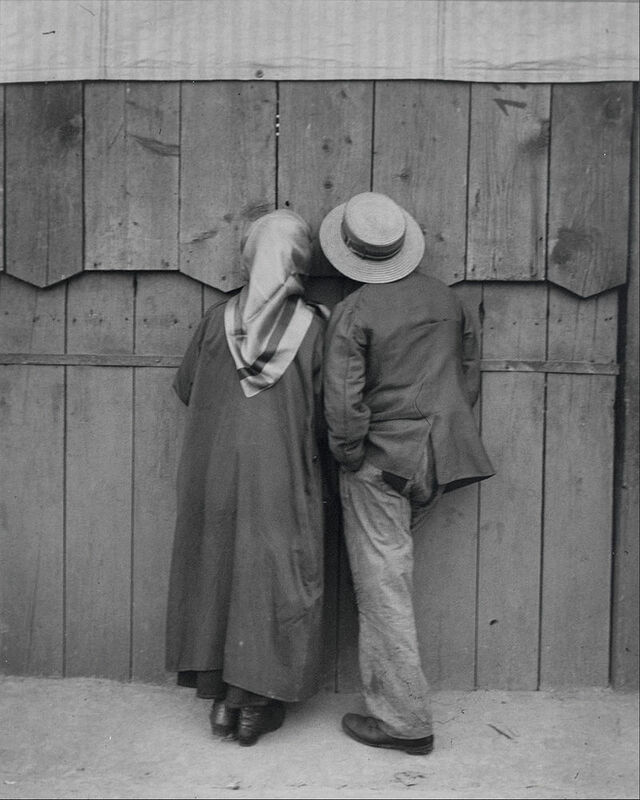 This is the photography aesthetic that defined twentieth-century photography. Most of the famous photographs that we’ve seen up until the 1960s were created using this process. This process and aesthetic, therefore, have become linked with a certain photojournalistic style of photography. While the process was used due to its effectiveness and practicality, it has today become imbued with a distinct meaning – of authenticity, and of a documentary photographic style. Silver gelatine photography as was popularized in the 19th century was eventually replaced by colour photography, but even this process was influenced by silver gelatine photography. During the silver gelatine process, the silver releases colour dye, and by treating it afterwards to remove the silver, these colours could come through. Even instant colour photography worked through the use of an emulsion containing silver and gelatine. It was only with the introduction of commercial digital photography in the 1990s that silver gelatine photography began declining in use. Thank you for this very informative piece! Keep it up!